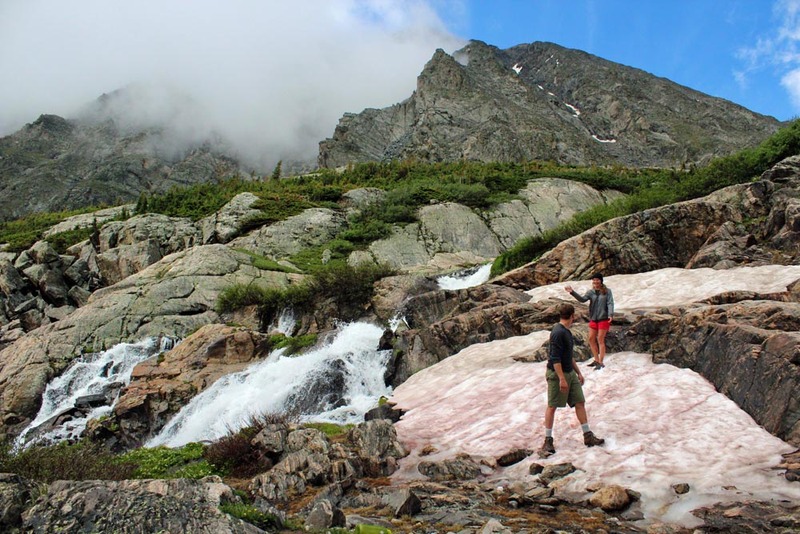 #Breckenridge Summer Fun – Still Playing in the Snow! Want to play in the snow this summer? And be amazed at breathtaking views, brilliant blue skies, sunshine and crisp clean air? There are miles of hiking and biking trails in Breckenridge, and a view from the peaks is as easy as catching a chairlift, bike included if you’d like. And after you’ve experienced the renewing of your spirit after being immersed in the wonders on the mountains, you can come down to the base and enjoy sitting on the decks with a glass of wine watching the summer sun set, and then catch the gondola down to town for an eclectic dining experience. After dinner, come on back up and marvel outside at the summer night and the brilliance of the stars at 12,000 feet. Heaven is just a little closer, that’s the wonder of it all. The town of Breckenridge is just charming, a contrast from the more glamorous Vail and Winter Park venues in Summit County. Breckenridge has maintained the small town, quaint Victorian charm of its mining town history. The shopping and dining are definitely not small town, with dozens of delightful places to eat where the owner is often the chef who specializes in unique cuisines. The shopping is not big box, it is definitely unique, artful, and full of high quality offerings. In the summer, life spills outside with concerts, events, dining, and plenty of family friendly activities. There really is something for everyone in Breckenridge. Anyone who visits Breckenridge is drawn back over and over again by its charm and the majesty of the mountains. Breckenridge is the kind of place where you can power down, renew, enjoy family and friends, and then return refreshed to every day life. Many who want to purchase real estate in Summit County, Colorado are unaware of the option of fractional real estate where you own the mortgage but only pay for the time you use. The cost is much more affordable and it still has the benefits of home ownership without the hassle of upkeep. There is a unique Breckenridge real estate opportunity in the making, sitting at the base of Peak 8 called The Grand Colorado on Peak 8. This unique fractional real estate opportunity will soon be the most coveted address in all of Breckenridge. The Grand Colorado at Peak 8 sits at the base of Peak 8 with ski in-ski out access and acres of mountain wonderland for a backyard. There are only 75 units, and they are going fast. In luxurious mountain modern style, this resort will offer world class resort amenities plus all of the comforts of home. Studios to 4 bdrm luxury condos are available, CLICK HERE to take a sneak peek. This entry was posted on May 2, 2015 by elevatemarketingaz. It was filed under Breckenridge Colorado Luxury Condo Sales, Breckenridge, Colorado Real Estate, Fractional Ownership Real Estate Breckenridge CO, Fractional Ownership Real Estate Summit County Colorado, Fractional Ownership Real Estate Summit County, Co, Fractional Real Estate Breckenridge Colorado, Luxury Fractional Real Estate Breckenridge Colorado, Luxury Fractional Real Estate Summit County, Colorado, Summit County Colorado Luxury Condo Sales, Summit County Colorado Real Estate, The Grand Colorado on Peak 8 and was tagged with Breckenridge Colorado, Breckenridge Colorado condos, Breckenridge luxury condo sales, Brent Henry Breckenridge real estate broker, Grand Colorado on Peak Eight.